I’ve officially been living in France for an entire month. In that time so much has happened, and I can really start to feel all of those endless opportunities everyone (including myself) is always talking about. Although I have been very busy, I have also had a lot of ‘me’ time to enjoy the quiet, go wandering, and start to rediscover who I am. A big part of this entire experience are things like the short stories I will be able to tell about the interesting person I met on the train, the day trip that turned into a weekend get-a-way, a group of my friends in the corner of a cafe laughing until we’re all crying, and the joy of a simple conversation with a frenchman practicing his english. Well… here comes a few of those stories! 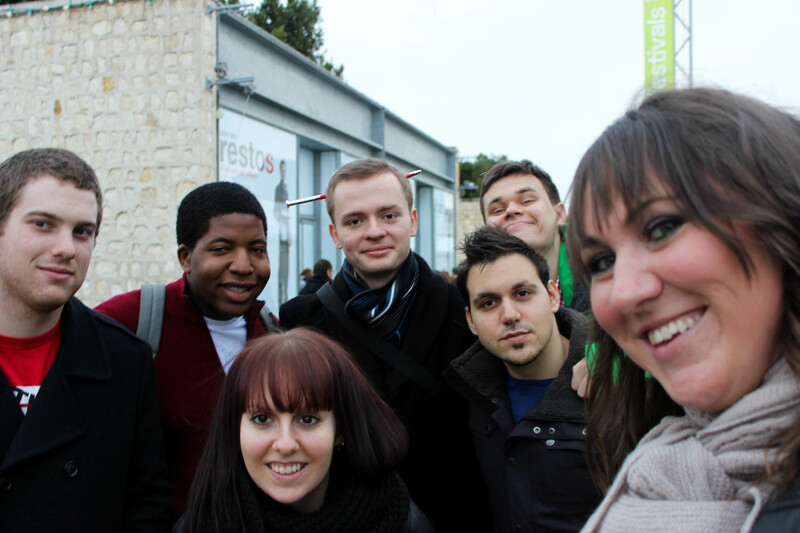 A few weekends ago a group of international students went to Tours (about an hour away from Poitiers). While exploring the town, we noticed one of the big cathedrals was under construction and looked to be closed completely. As the 5 of us stood, taking pictures and contemplating whether we should try and go in, a man approached me and said “Excuse me, do you know if we can go inside?” Although the man’s stature was intimidating, what surprised me the most was the perfect english he spoke… definitely his first language, and a very welcoming sound for my ears! As the group of us ventured around the cathedral looking for unlocked doors, the man, whom was in his 60s, followed along. After some short conversation I learned he was from Florida, and came to France simply because he ‘wanted to learn how to make a good macaroon’! He was an analytical chemist who was tired of the complexity of his job, so he retired and took up french baking. He came straight to France in order to learn properly! How cool is that?! He was such a nice gentleman, all by himself, doing what he wanted to do! It was one of those feel-good moments of seeing someone light-up about living their dream, and getting to see the world at the same time! Definitely one of the biggest highlights of the day for me! One day last week, I ventured out into this great town I’m living in, simply to wander around and take a few photos. While setting up my tripod at the Notre Dame Cathedral here in Poitiers, a man approached me and started saying something in French which I think was “I can take your picture if you’d like” since his body language was referring to my camera. (It was either that, or “you have a really nice tripod”. We’ll go with the first.) I apologized to the man and told him I didn’t speak French, but that I was ok and thanked him for his offer. I’m sure he could hear my english accent through my horrible French conversation skills, and he became almost animated. He asked where I was from and I told him USA, Michigan. He told me his daughter was living in Los Angeles and was going to school to “be like Steven Spielberg”. I realized the man didn’t speak much english, but he was excited to have someone to practice with. We stood there and talked for about 20 minutes, mostly about American music. He is a big fan of Bob Dylan and the Beach Boys, and he got really excited when I mentioned Johnny Cash. He was such a cool guy who was just happy to make some conversation with an American. He was planning on painting by the river that day (because that was how Monet painted), but the weather was very overcast and called for rain. Instead he went to a record store and purchased “The Adventures of TinTin”. Although I got caught in the rain before I could take my photos, it was worth it to talk to this man who was just filled with joy because he could practice his english with an interesting American. This past Saturday I took a trip to the city of Angoulême, which is known for their comic strips. On this particular weekend, the town was hosting their International Comics Festival. It is the largest in Europe,and second largest in the world (next to Comiket). The train tickets were not expensive, and although I’m not really into comics, it sounded like a fun time (I mean, come on, have you ever been to a festival and not had a good time?). For a 7€ train ticket and a 10€ festival entrance pass, I had a blast! I didn’t think I would enjoy it as much as I did, but I really had a great time! Most of the comics they had were from Europe and did not look familiar, but they also had a few things I wasn’t expecting (like 8′ figures of the Avengers – so cool!). The entire city was dedicated to this festival, and there were tons of expos all around the town. At one point, we were walking from one expo to the next, just window shopping and people watching, when we heard music. There was a group of people who had formed a circle and a few guys on accordions just having a concert in the street. Okay, it was more of a sing-a-long than a concert, but it was still cool. They were handing out song books to people who stopped to watch, and were getting the out-of-towners involved! I, of course, grabbed a book and was ready to join in when I realized I had no idea how to pronounce the words in the book (that darn language barrier again!- it is getting better though!). I managed to get the chorus down pretty good before the song was over. Although all my international friends thought I was completely crazy, I think they secretly had fun as well! The whole day was a lot of fun and I’m glad I was able to see and experience everything with good company. You can visit https://thetwentysomethingtraveler.shutterfly.com/ to see more pictures from my day trip to Angoluême! Seeing that I have been here for a month and things are settling down, everyone from home is starting to ask me what my favorite/the best part is. Since the first week, it has been the same answer: the people (if you couldn’t already tell from the stories above). Specifically all the other international students I’ve met. 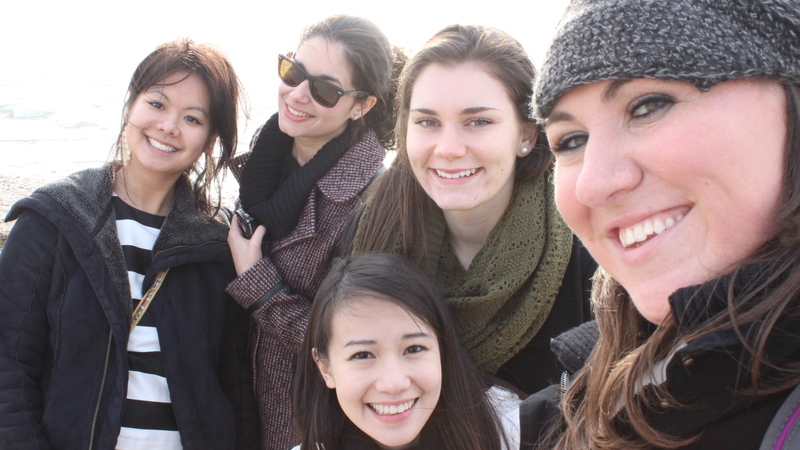 I came to France on my own, by myself, with no family, friends or other UofM students. When I told this to people back home, the reactions I got were priceless! “You’re going where?! For how long?! BY YOURSELF? !” Many people thought I was crazy! But I didn’t find it to be that big of a deal. Yes, I was going to a foreign country where I knew no one, and didn’t speak the language, but I knew it was going to be such an amazing experience I really didn’t care that I was going alone. Anyone that knows me will tell you that I am ridiculously independent and have no problem doing things by myself. This situation was no different than any other. After arriving in France and meeting other students, I realized a lot of people were in the same position as myself. Because of that, everyone is very open, and friendly, and talkative. To make friends here, you really don’t have any other choice. I can honestly say that I have met some of the nicest, funniest, and most genuine people since being here. Everyone has a story, a different way of doing things, a ‘weird’ eating habit, a family tradition, etc. Learning about these different ways of life, and meeting these people has been one of the best experiences of all. Everyone else left their family to step out into the world and embark on this adventure in life, so all of our attitudes are the same: we’re doing it, we are living the dream! A few of us have already started having ‘family dinners’ with each other, which leads to a few glasses of wine (duh, we’re in France! ), and some amazing heart-to-heart conversations about life, family, love, ambitions, etc. To think that just one month ago I didn’t know any of these people is almost impossible to believe. I love the fact that I can walk down the street and usually see someone I know and stop to chat, or walk into a cafe and see a few friends having an espresso. The idea that I know I have friends all over the world now is amazing to me. I now know people from the US, Canada, Columbia, Mexico, Sweden, Lithuania, Slovakia, Scotland, Greece, Taiwan, China, Japan, Turkey, the list goes on. When I moved to Alaska in 2010, everyone I knew there was in the Air Force. One of the first people I met, who is still my best friend to this day, is someone who grew up about 20 minutes away from my home in Michigan. Our high schools were rivals and yet we meet each other 4,000 miles away from all of that! (One of life’s jokes I suppose!) She told me, when I first arrived, that the military lifestyle will introduce you to some of the best people you’ll meet in life, that you’ll never see again. Although this is harsh, unfortunately I found it to be true. Because everyone is so far away from home, and everything they know and love, you immediately become close with those friends around you. They become your family. Then once the time is over, life completely changes. Despite plans and promises, you may never see these people again. Although I will do my best to keep in contact with everyone… should we lose touch, I am just honored and blessed that I was able to share this experience with the people who are here. I can’t wait to see where the next 4 months takes us! ← What is ‘Travel’ anyway?! Thanks for all your support Sheila! Can’t wait until we can take on Europe as a duo! haha! I’ve only seen a McDonald’s but rumor has it there’s a KFC near by! SO very proud of you and your independence, and love reading these great updates, hon. You are having such a wonderful time and meeting these very interesting people, and I enjoy hearing about them, too! Keep on keeping on!